In the world of business travel, as in life, the best-laid plans can and often do go awry. Having a flexible airfare will save both you and your business some significant headaches when there's the sudden unexpected need for some leeway in your travel schedule. While we’d all rather be flying up front along with the comfort and flexibility that comes with it, a lot of domestic travel will ultimately be in economy. But between Qantas and Virgin Australia, which airline is the most flexible when it comes to flexi-economy tickets? The ability to change and cancel flights more freely comes at quite a hefty cost. Flexible fares commanded a premium of at least twice and up to three times more than the best economy fares of the week. If you're booked on a flexible economy ticket, both Qantas and Virgin Australia let you change your flight up to the day of travel without any specific change fees – you’ll only be up for the fare difference if your new ticket is more expensive than the one you originally booked (and it probably will be). The cut-off for changing your flight is defined slightly differently between the two airlines: Qantas sets it as ‘30 minutes prior to departure’, whereas Virgin Australia more openly states ‘prior to departure’. If you have to change your booking, do it online where possible. Qantas and Virgin Australia charge $40 to make, change or cancel a booking at the airport or through their call centre. Fees may be waived if you can’t make the changes online, or for those with top-tier frequent flyer status. 'Fly ahead' is a very practical perk for business travellers, letting you move to an earlier flight on the same day without any fee. It's generally only available to top-tier frequent flyers. Qantas offers fly ahead to Platinum One members booked on a domestic flexible economy or business class fare. They can request to move forward to an earlier flight without any fare difference, as long as there are seats available. Other travellers on a flexible fare can try asking for it, but it won’t be guaranteed. Virgin Australia allow Velocity Gold and Platinum members to fly ahead unless they are booked on the cheapest Getaway fare type, while Platinum card-holders can also request to Fly Ahead via the call centre on the day of travel. You can also cancel your ticket with both airlines up to the cut-off point applicable for changing a flight and apply to have the fare returned as either a travel credit or a refund. Qantas will issue a credit voucher which needs to be redeemed within 12 months of the original ticket being issued (not the date on which you cancel the flight). This can be problematic if you booked your ticket well in advance, as it may leave you with only weeks or months to use the credit. 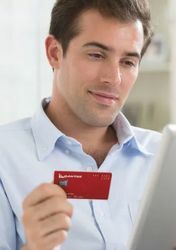 Cash refunds are also allowed, albeit with a $99 fee, and may be the better option if you have no use for the credit. Virgin Australia will return the flight value to you through its Travel Bank, an online system where all travel credits can be kept and consolidated. Credit added to the travel bank has an expiry of 12 months from the date of cancellation. However, if you cancel a flight booked from the Travel Bank, then the credits will keep their original expiry date. A cash refund can be requested with an $80 fee. If for any reason you simply don’t turn up for your flight, and neglect to have it cancelled or changed before the cut-off time, you will forfeit your fare to both airlines. It wouldn’t hurt to ask to move flights if you turn up to the airport late, but unless there are extenuating circumstances or you have high status with the airline you should hope for the best and expect the worst. 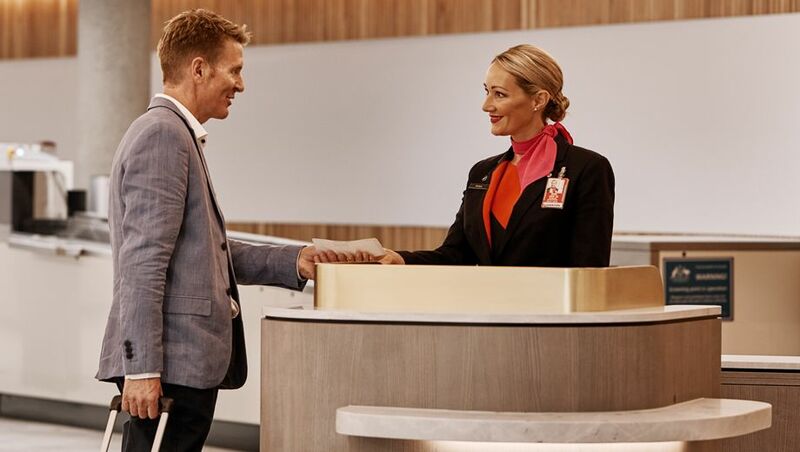 Both Qantas and Virgin Australia will let you change the name of the ticketed traveller on a flexible economy fare - handy for when work requirements mean someone else needs to do the trip you'd planned (or vice versa). Qantas will charge a $99 name change fee, in addition to any fare difference for that same flight. This is because a name change is essentially cancelling an old flight and rebooking a new one, so this rule discourages people from buying airfares when it’s cheaper and only changing traveller names down the track when they know who is travelling. In comparison, Virgin Australia will charge $90 to change names, with no fare difference mentioned on their website anywhere. However, a closer investigation into the fare rules reveals that the ticket does need to be reissued; thus a fare difference applies as well. When flying out for a meeting you might be tempted to combine a discount economy ticket on the way out with a flexible economy ticket on the way back, all in the one booking for convenience. On Virgin Australia this isn't such a flash idea, as the fare rules state: “When bookings are created using a combination of fares from different fare types, the rules of the most restrictive fare will apply to the whole booking”. This means the extra money spent on a Freedom fare could be wasted when combined with a Getaway or Elevate fare, as their more-restrictive policies would apply for the whole journey. You’d still get the other Freedom fare benefits such as fly-ahead and discounted upgrades though. An easy fix for this is to book flights in different fare classes separately. Domestic flights are priced per-sector anyway, so it makes no difference in when booking two flights as one-ways or a return. On the other hand, Qantas maintains individual fare rules for Red e-Deal and Flex flights, even when combined on the one ticket. One good trade-off for the higher cash price of flexible tickets is the vastly reduced number of points required to upgrade to business class. Here's a summary of how many points are needed on either airline to upgrade a Sydney-Melbourne flight and Sydney-Perth flight, on discounted and flexible economy tickets. Virgin Australia's Platinum Velocity members also enjoy four complimentary upgrades a year which can only be redeemed on the Freedom fares, making each one worth up to 9,900 points if travelling to Perth. A higher serve of status credits is also on the cards with flexible fares, enabling you to reach even loftier heights, quicker. Here's a summary of how many status credits you'd earn on either airline, looking at Sydney-Melbourne and Sydney-Perth on discounted and flexible economy tickets. With Qantas offering Lifetime Silver and Gold, every status credit counts. Which airline do you prefer to fly with under a flexible economy fare, and why? Comments for this article will be temporarily held for moderation before being published. Readers are reminded to keep comments on topic (ie, their choice of Qantas or Virgin Australia for travelling on a flexible economy fare) and to ensure their comments add value to the article and the conversation. I like flexible fares for the reduced number of points to upgrade and higher serving of status credits. As QF flies more routes that I want to fly and has lifetime status to aim for that's the airline that I go with. I realise that Australian Business Traveller tends to shy away from writing about economy travel so thank you for writing this article, most of us have to fly economy within Australia and I certainly choose flexible economy fares every time my client budgets allow it, so it's interesting to see the differences between the Qantas and Virgin flexi fares. 'Fly Ahead' is very useful to me, especially for trips back to Sydney from Melbourne and Brisbane where there are plenty of flights to choose from, even getting back an hour early is worthwhile sometimes. I agree with mviy. Im Platinum with both, and book fully flexible for Perth to Melbourne, Sydney, Brisbane so for me it comes down to which company is flying the a330 at the time I wish to travel. As the manager of a company with a domestic travel spend of around $300K p.a., we tend to use best fare on day with flexible returns when required. We are airline agnostic and will often have outward and return legs on different airlines if that works out better cost-wise. Tiger and Jetstar tend to be avoided because they are less reliable and don't have the frequencies of VA and QF. Like most companies, we never use J class domestically or internationally though occasionally use W class on international services if the price differential from Y is not egregious. Reeves35, a sensible policy because Tigerair and Jetstar run late the most. I've found over the years (mainly flying Virgin) that it's considerably cheaper to book the Getaway/Elevate fares and pay the $80/booking change fee when changing or cancelling the booking. Unless one is in the habit of changing flights, paying the occasional $80 when required is far cheaper than paying for fully flexible tickets. Thank you for the interesting article. I find the Fly Ahead option with VA means I can book an Elevate and above fare, which allows flexibility during the trip but also without the large outlay for Full Y.
I fly mainly Va because of that and also given that I fly mainly to Sydney and Brisbane they are mostly cheaper on those routes. As in all things to do with travel there are different priorities and we are lucky to have options that meet most peoples requirements. I travel interstate about every three weeks, and never buy anything but the lowest fare - usually Red e-Deal on Qantas - well ahead of time if possible. Occasionally, I have to change, but find it far cheaper to pay the change fee and fare difference on the odd occasions I need to than buy a flexible fare at more than twice the price. On the 'fly-ahead', I always ask. Most of the time it's a 'no', but sometimes - it's a yes, and I'm at best gold status. Anyway - I just work in the lounge if I have time to 'kill' before my booked flight. As for status credits - you should read the article by 2paxfly on what status credits 'cost' at Qantas. I am fortunate enough to book and bill back J class for most flights. I was with VA but moved back to QF about 15 months ago as I was not happy with the change to 737 from A330 on East West flights. That and some other VA issues! What I find funny is that I can book a Business Flex fare with QF and it doesn't get more expensive than that yet on the couple of times I have had to change flights they charge silly amounts like $2.10 or $1.20 for the change! Weird or am I missing something? Sometimes the fares will fluctuate ever-so-slightly - the numbers we see on the booking page are rounded up to look simple. A $185 SYD-MEL fare becomes $184.02 when checking out. Very useful article. I’m still a bit confused about how a travel bank or credit works. It happened to me once and was quite an unexpected bonus on what I had thought was a non-refundable fare. The Virgin fly ahead is a real attr for me. I use it every week and this is why I fly virgin. I’m Qantas platinum but would never achieve platinum one. "I’m still a bit confused about how a travel bank or credit works." This is a US-centric inspired idea that JetBlue and Southwest in particular, use extensively in the USA. Each passenger / FF member has a 'travel bank' associated with their FF account. Any refunds including cancelled flights or refunds for luggage overcharges, courtesy awards (such as a credit for giving up a seat on a confirmed reservation or a cash emolument for a delayed flight etc) are 'deposited' into the passenger's 'travel bank' for use at a future date. This saves the airline cutting a cheque for the passenger or refunding against a credit/debit card. The passenger can then use the associated funds for future bookings with the carrier. It ensures a lower cost for the airline .. and encourages future 'loyalty' from the passenger. Is there a reason why when searching for flights using "credits" , i find the fares are usually a little bit more expensive than when searching directly? It's an interesting comparison, and I think what it highlights is the lack of any real competition on domestic flights in Australia. Didn't there used to be something called the "two airline policy" - which led to "competitive" flights departing at virtually identical times at virtually identical fares? Here see a difference in fares (relatively minimal), and very similar fees to do things like change names or get your money back on a flexible fare. And here we are again with just two "competitors" - Qantas and Virgin/Tiger (cf TAA and Ansett). Good point: often there are Qantas and Virgin Australia flights departing within five or 10 mins of each other. No different from the TAA/Ansett days in that aspect. Comment on "Qantas vs Virgin Australia: how their flexible economy fares compare"